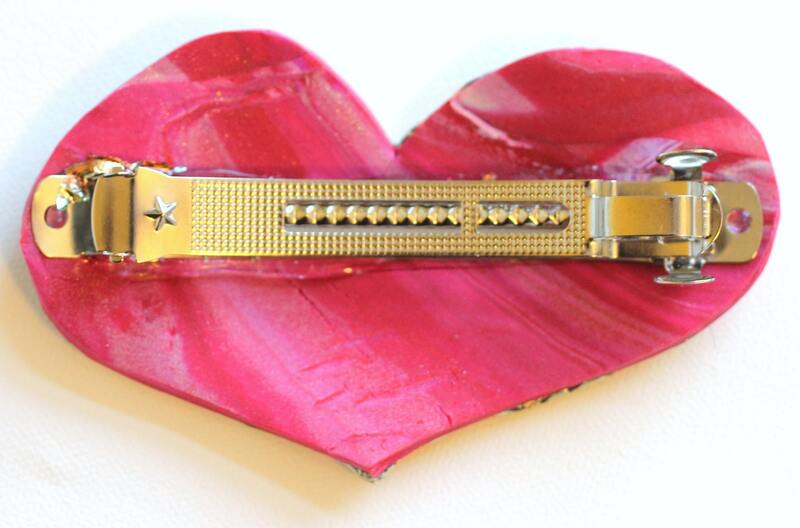 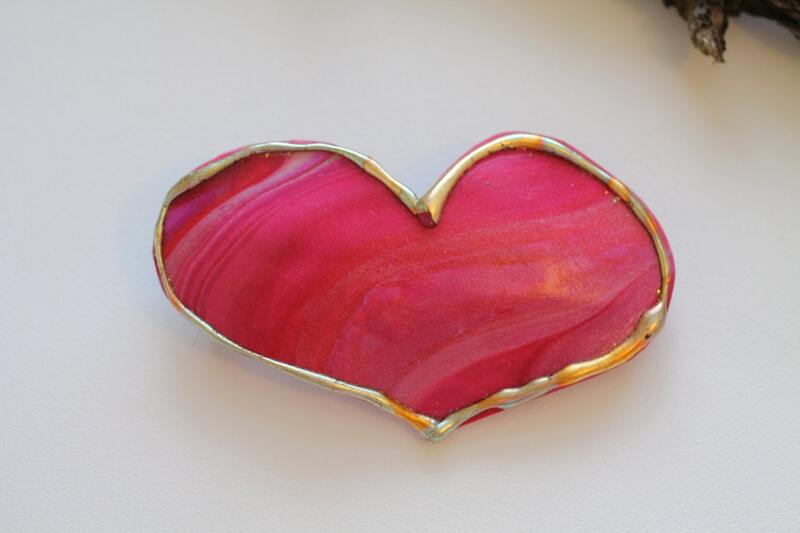 Hair Barrette, Womens Heart Barrette Hair Clip, perfect for Valentine's Day as a gift or for yourself to add some glam for an evening out. 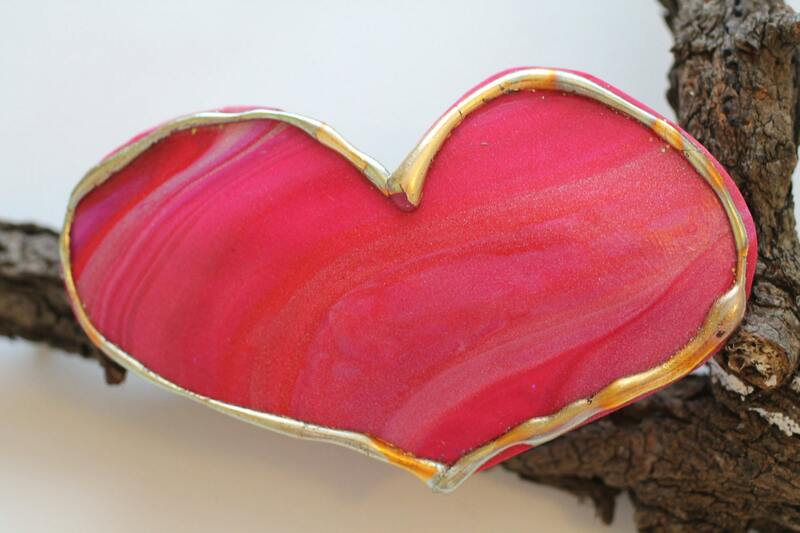 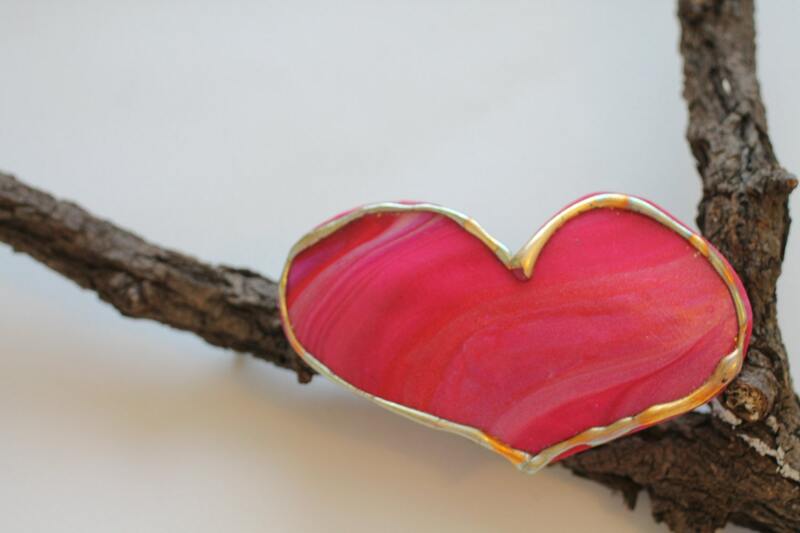 Made from marbled, swirled colors of polymer clay that have been "kissed" with variegated gold leaf. 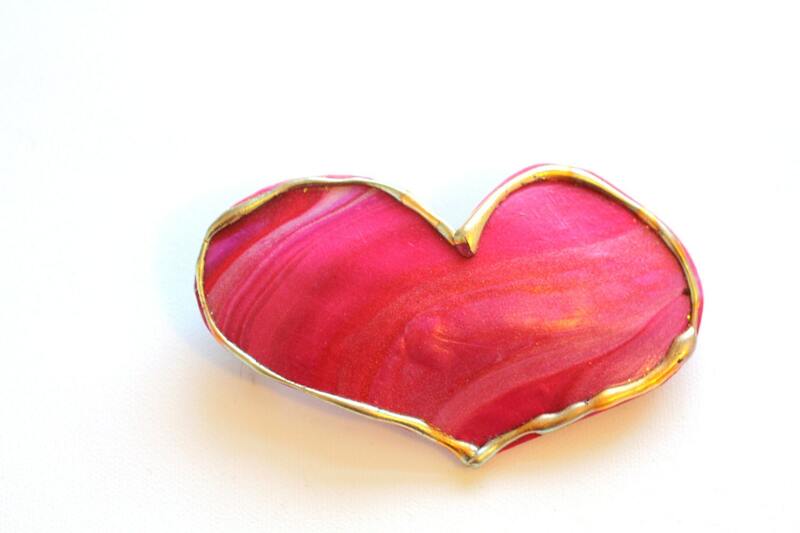 This barrette is about 4" x 3"